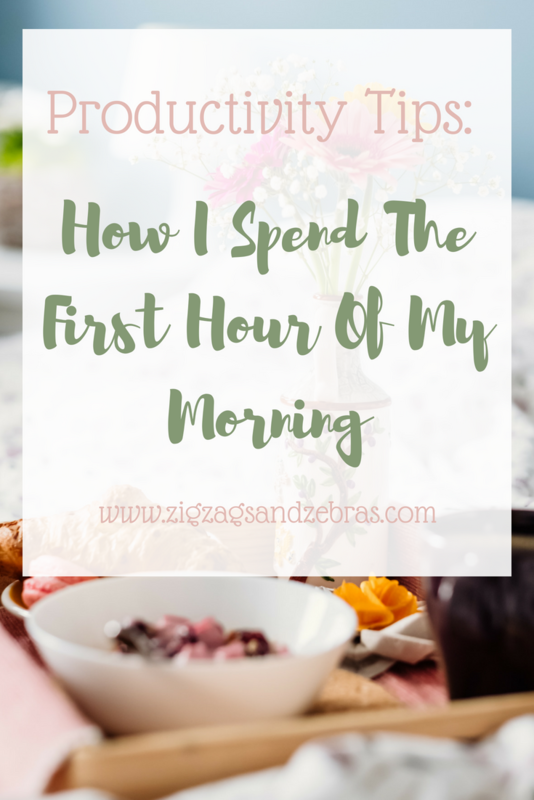 I’m sure you’ve heard this before, how you spend your first waking hours is super important. Before I really set a morning routine for myself, I spent every day feeling rushed, and blah all day. 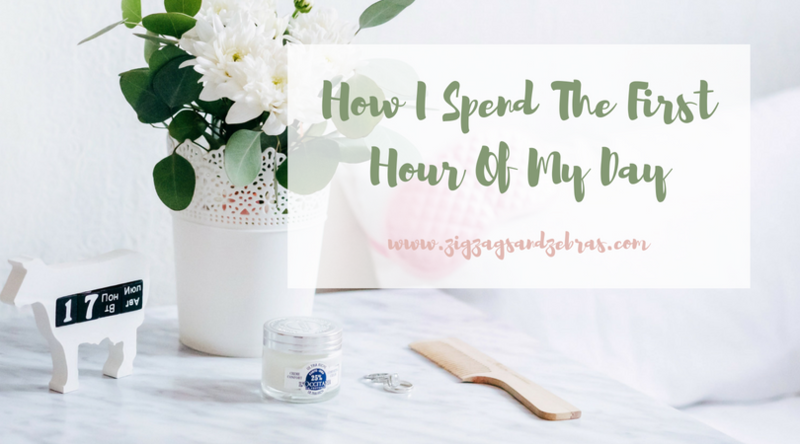 I’m going to walk you through how I spend the first hour of my day to be more productive in todays blog post. Recently I’ve been trying to walk up at 5am, so that I have more time to get things done that I want in the morning. Most of my creative energy is in the morning, so I really like to get the best of it! 5am: my alarm goes off at 5am, I have it stationed across the room so I physically have to get up to turn it off. Typically by that point I’m already standing, so I don’t have that desire to snooze it and go back to sleep. I then go to the washroom, brush my teeth, wash my face, and drink a glass of water. 5:10am: I make a coffee and sit down at my desk. I typically spend 15-20 minutes doing my morning pages every morning. If you haven’t heard of morning pages, they are a concept crafted by Julia Cameron (author of The Artist’s Way). I would really recommend reading the book (even if you don’t consider yourself an artist) – but in short it is just 3 pages of longhand writing. A brain dump basically. It allows me to clear my brain of any negative or unnecessary thoughts that I can go into the day without any cobwebs! Don’t knock it until you try it folks. 5:30am: I try and do some form of exercise for the next 30 minutes, whether it be go for a walk, do some yoga, or do some low intensity cardio in my living room. I find that exercising first thing gets my blood pumping and helps to wake me up for the day. That’s it! Thats how I spend the first hour of my day, almost religiously every day. I find it so important to exercise my mind, and my body, first thing in the morning before everyone wakes up. 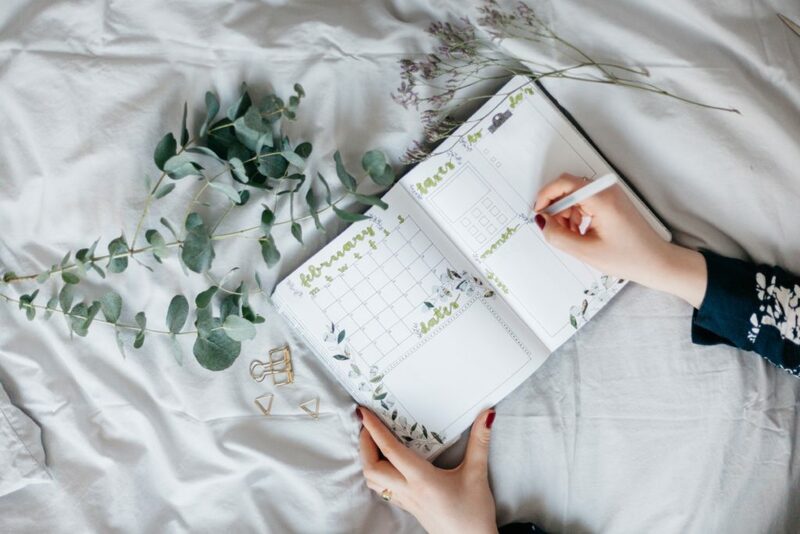 I have noticed a huge difference in my productivity since I have started doing this! Want to start getting up with the sun? My tips for waking up early! If possible, sleep with the curtains open. Natural light is the best alarm! Don’t drink caffeine to close to bed. Go to sleep early! You can’t go to bed at 12, and except to wake up at 5 and function 100%. If you want to wake up early, you may need to sacrifice some of your evening hours. Don’t go from waking up at 9am to trying to wake up at 5. Take baby steps, and keep waking up a bit earlier each day until you are at your desired time! Consistency is key! If you want to wake up at 5am on weekdays, don’t go and sleep until 11am on weekends. That is so tough for your internal clock to handle. I typically let myself sleep in until 6, or maybe 7 on weekends. What do you do for the first hour in your day? 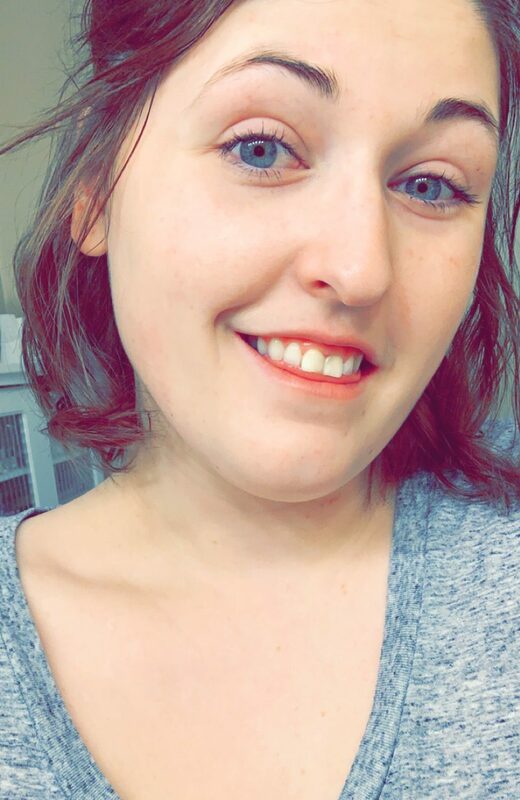 Let me know below in the comments! Great post. I have never been a morning person, but I am trying to wake up a bit earlier than I normally do and make the most of my mornings. I’m hoping that applying these tips, it will help me achieve that. No more spending the first few hours being lazy and then rushing to get things done throughout the rest of the day – at least that’s my hope. Sarah, that’s a great goal! It’s honestly such a relief to not feel rushed and stressed the whole day because of what you have to get done. 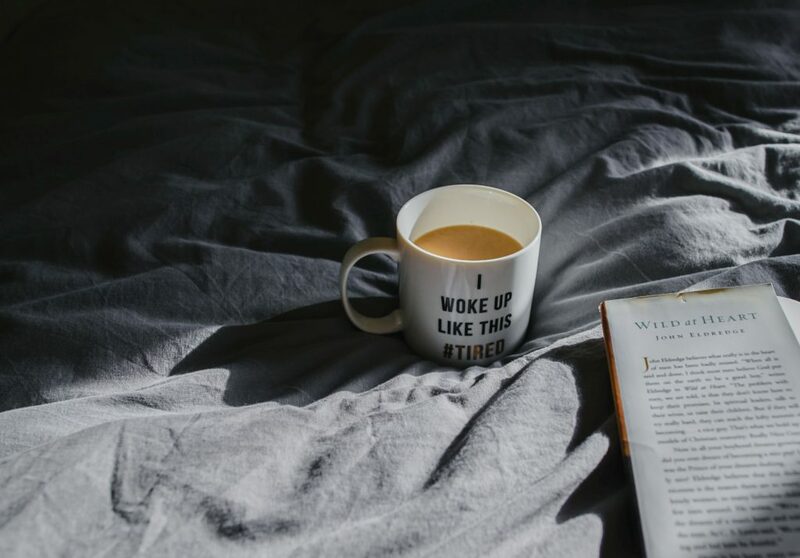 Taking that time in the morning is a fantastic way to create calm for the rest of your day! I love this post! It’s definitely inspiring and insightful. I have a morning routine similar to this on the weekend, quicker I do my chores the more time I have for other things. In the week it’s pretty hard with work. With nights getting darker quicker I am finding myself going bed earlier. Thank you! Yes, I’m finding the same, I’m significantly sleepier with fewer hours of daylight. It’s hard to stay productive!